I grew up in the southern part of the United States – South Carolina to be exact. This experience has led me to the opinion that southern children are at a disadvantage when it comes to geography. I will never forget my own confusion when learning about Spanish-speaking Colombia in elementary school. I had been to Columbia (South Carolina’s state capital) several times, and never had any need to speak Spanish. In South Carolina, there is also a city called Florence – which I am sure that many school children confuse with Florence, Italy. Rome isn’t just the capital of Italy, but also a city in the state of Georgia. Speaking of Georgia, I am sure that students are flabbergasted to discover that “Georgia” is not only a state, but also the name of a country. I did know some basic information about Georgia before reading this book. A few years ago, I came under the opinion that I was tired of visiting the Smithsonian museums and monuments during my family’s trips to Washington D.C. 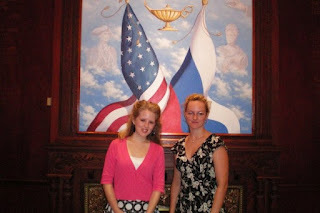 I decided to take advantage of the wide array of cultural organizations sponsored by the embassies, which make their home in Washington D.C. One such organization with which I made an appointment with was the Russian Cultural Centre, which is run by the Russian Embassy. (I will admit, I think I might have done this to shock some of my older relatives, who sometimes seem to forget that the Soviet Union no longer exists.) I was met by a young woman, Maria Andreeva, a wife of one of the diplomats, who was kindly willing to answer all of the questions of this eager teenager. The reason I bring this up is that in the Russian Cultural Centre, there was an exhibit of photographs, showing the recent war between Russia and Georgia. I remember having seen some mention of this conflict on the news, but had not seen the images of destruction that these photographs so vividly portrayed. Thus, when I went to choose a book about Georgia, I decided to choose one that explained this conflict in depth. 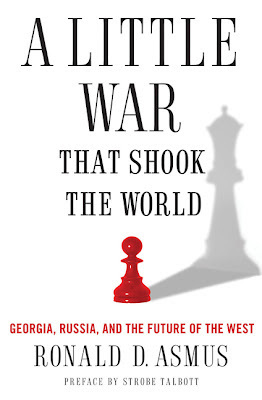 This book does not focus on the regional conflicts between Georgia, South Ossetia, and Abkhazia, which are the nominal reasons for the start of the war. 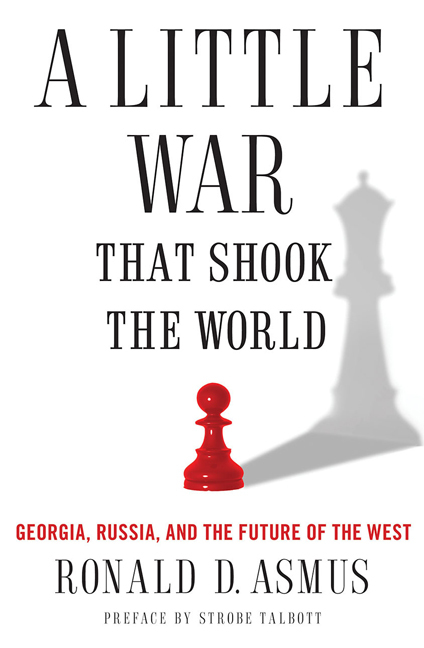 Rather, the author focuses on the big picture ideas – namely, the power conflict between Georgia and Russia. Leading up to this war, Georgia had applied to the NATO (North Atlantic Treaty Organization) MAP program, with the intention of becoming a member of the organization. Moreover, Georgia had shown interest in also joining the European Union. According to the author, the act of Georgia “going west” inherently undermined the power of Russia, leading to conflicts. Even more than focusing on the war, the author focuses on the events leading up to the war, and what the war meant to the international community. Much of the book focuses on NATO and its programs. The author goes into the topic of energy resources in page 58: “But Saakashvili’s dream was transform not just Georgia but the region as a whole. Working with Azerbaijan, he wanted to make Tbilisi and essential part of a new independent energy corridor bringing Azeri and eventually Central Asia energy resources to the West, bypassing Russia.” For those who have read my post about Azerbaijan, you might remember that the largest industry in this country’s economy is the oil industry. How might the world’s political atmosphere change if this vision is realized? For those in Georgia, what sort of resources are there? Does the oil industry have a lot of influence? This book often discusses the idea of western expansion. This is a topic for debate, and I would love to hear other people’s opinions about this. How do you define Europe? How far should Europe expand? Why do you think this? What are the positives of “European expansion?” What are the negatives? The author believes that there are possibilities for future conflict in this region, based on this war. What do you think? Can there be future conflicts? How has the Cold War affected your life? How could we avoid these conflicts in the future? Please feel free to comment on the topics or note something interesting from the book. I look forward to hearing your opinions!